Does Lotto.com Really Work? Read Reviews! Lotto.com is a one-stop-shop for results and information about some of the most prominent and beloved US lotteries. Who has gotten as lucky as to claim the domain lotto.com? You’ll have to wait and see because the project hasn’t been launched yet. It’s advertised as “coming soon” and it is supposed to be a comprehensive source of information about US lotteries. Here’s what we’ve managed to uncover about the upcoming launch so far. Lotto.com is somewhat scarce on information at the time being. The website itself doesn’t offer an awful lot. There’s a pretty generic description of US lotteries, including the two powerhouses of American betting – Mega Millions and Powerball. The interface gives you a chance to select your location and entering your email. If you do, you’ll be granted exclusive access once the portal is launched. We have gone through the process and we’ll be more than eager to provide updates once the project goes live. What Is Lotto.com and What Does It Do? 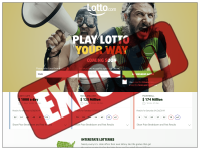 When you do a bit of digging, you can reach the conclusion that Lotto.com is a Lottoland product (the Terms and Conditions page links to the parent website). Lottoland is a really big player on the scene. Not only does it offer result information, but there are also online betting options for some of the biggest games across the world. Lottoland isn’t a lottery agency per se. You bet on the results of lotteries from different parts of the world. If you get any of the numbers correct, you will receive a Lottoland prize. The award does not come from the official lottery itself, rather it is provided by the Lottoland team. You can learn a bit more about how the model works by visiting the official Lottoland website. At the time being, there is no information whether Lotto.com will be operating using the same model. The only clear thing is the focus on US lotteries. If you’re really eager to test out this opportunity and you’re already involved with Lottoland, you may want to sign up for Lotto.com and get exclusive access once the website is launched. It is still too early to tell what this exclusive access will entail. Currently, there is no mention of charges or fee structures applicable to the Lotto.com experience. As far as the initial presentation goes, the official US lottery drawings information will be available free of charge. Lottoland does charge you for betting on the results of lotteries. You have to create an account and transfer some funds in order to participate. If Lotto.com is going to be offering a similar service, the same charging structure will probably be employed. We don’t know and it’s still too early to tell but as the website is launched and it becomes more functional, we will update the information about the available functionalities. The initial presentation made available on Lotto.com suggests there will be comprehensive results information. The website also features some useful information about US lotteries but there hasn’t been a reveal about more advanced features or betting options. The Terms and Conditions state that Lotto.com belongs to the EU Lotto Ltd. portfolio (a bit more about the company in the coming section of the guide). There’s an extensive explanation of the terms and legalize utilized in the document but these mostly pertain to Lottoland and the products made available via that website. It’s safe to assume that once Lotto.com is launched, the Terms and Conditions will be updated to reflect better on the nature of the portal and the software it’s going to utilize. 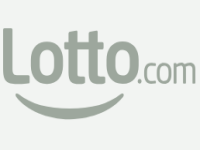 As already mentioned, Lotto.com belongs to the portfolio of EU Lotto Ltd. – the founding company of Lottoland. The company is registered in Gibraltar but it also has a license to operate in the UK and Ireland. It is in the possession of a remote bookmarker’s license that’s issued by the Irish National Excise License Office. For more information, you can get in touch with the EU Lotto representatives in the UK by emailing [email protected] Live chat support is also available via the Lottoland website. The company originally initiated operations in 2013. Its founder is David Rosen and the Lottoland CEO is Nigel Birrell. Lottoland is pretty transparent in terms of its revenue and operations. As of 2017, the company employs more than 350 people and its annual revenue for 2016 reached 300 million euro. Would you mind rating Lotto.com? If it follows in the footsteps of Lottoland, Lotto.com will be a betting product that allows people to bet on the results of US lotteries. Please keep in mind the fact this is not an online lottery agent that will allow you to participate in the official game and win its prizes. You will be betting in a Lotto.com game and you’ll be winning the awards as they are advertised on the platform. At the time being, however, it’s not clear exactly what Lotto.com is going to offer. This is why we can’t really give this platform a rating or tell you if it’s safe to use. We will all just have to wait and see what opportunities will become available upon the launch.